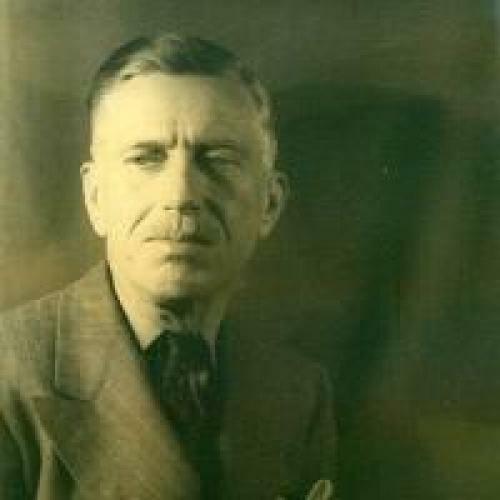 Such is the violent country in which Eudora Welty has laid “The Robber Bridegroom,” as it is described by Clement Musgrove, the innocent, gullible planter, who stands close to the center of her tale. The scene is that dank primitive forest of Louisiana, some way above New Orleans, between the muddy Mississippi and the old murderous Natchez Trace, which even today, where it lasts, has the appearance of going back to the beginning of time. At the end of the eighteenth century, when it was just beginning to be cut into plantations by Americans coming in before the Spanish had resigned their claims of sovereignty tothe French, it must have been a place of fear. To its natural terrors were added, not only the Indians with their scalping knives and tortures, but the white bandits who worked up and down its trails. It is not difficult to understand how Miss Welty was attracted to it as background for a fairy tale, which is, at least in part, a reworking of the plot of the older “Robber Bridegroom.” Out of all Grimm’s Fairy Tales, none more intensely conveys the early terror of the forest. Out of another story of Grimm come Clement’s daughter, the fair Rosamond, who is as beautiful as day, and her wicked stepmother, who is as ugly as night. Mike Fink, the fabulously strong flatboatman, is a creature of the folklore of the Lower Mississippi and so is Little Harp, who carries Big Harp’s severed and still speaking head around with him in a trunk, though the Harps had, I believed, an actual historical existence along the Natchez Trace. Jamie Lockhart, the robber bridegroom, is harder to place as to source; at first sight, he might well be what he appears, a New Orleans gentleman, though through the greater part of the story he is a bandit, with his face so thoroughly stained by berry juice that even Rosamond, though she shares his bed, does not discover his identity. Their relations derive in part from Grimm, though more, I should say, from the myth of Cupid and Psyche. The fascination of the genuine fairy tale is that it allows us, for a time, to penetrate the minds of our remotest ancestors and to recognize, as we cannot through any other imaginative medium, their terrors and their beliefs. The modern fairy tale cannot do this. It aims at arriving by fantasy at an end which we can accept as sound and true. It will bring together things which mere observation could never find in one place, in order to discover their hidden connection. Since it assumes at the start a suspension of credibility, it must disarm by an air of simplicity and persuade by its charm. And this Miss Welty does. But what her tale adds up to, I cannot be sure. Rosamond and her wicked mother are incongruous in Louisiana and though the dangers, as we well know, were real enough under the live oaks, where the light is drowned and the Spanish moss drifts like seaweed in the submarine shade, we are never made to feel that terror of the forest which is always present in the tale of Grimm. If Miss Welty meant to establish that our tall tale is our equivalent of the European folk tale she fails to do so. Her deepest interest in “The Robber Bridegroom” would seem to be in the question of identity. Nothing is what it seems. All bridegrooms, she seems to be saying, are robbers; their love is brought under a mask and they never call anything by its true name, so that they destroy a woman’s faith and their own honor by taking that love which is a woman’s right to bestow freely. But in time, the hurt is healed and at last the robber bridegroom is seen as a prosperous gentleman of the world. The predatory lover becomes the respectable father of twins and nothing is easier than the transfer of a bandit into a merchant. This, I take it, is the moral of “The Robber Bridegroom”; but it is to be found in words rather than in the narrative.